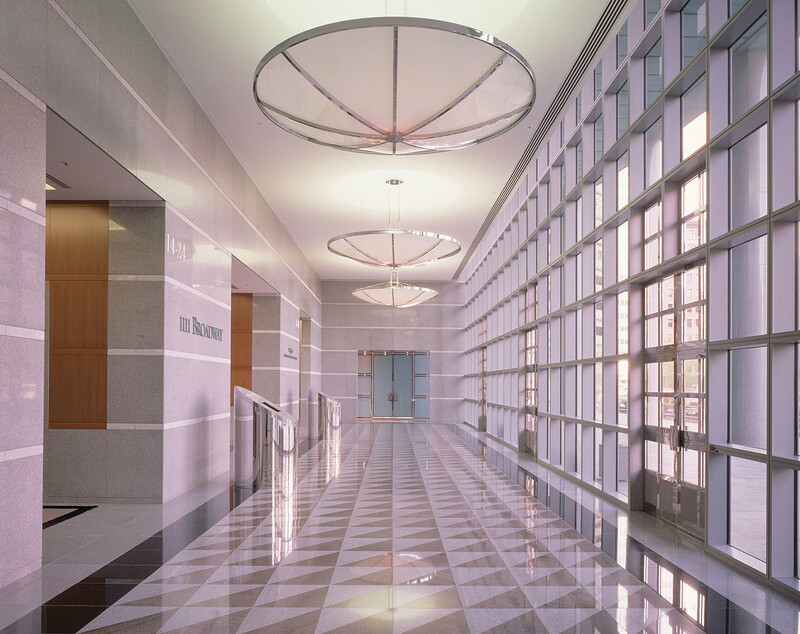 M. Arthur Gensler & Associates, Inc. 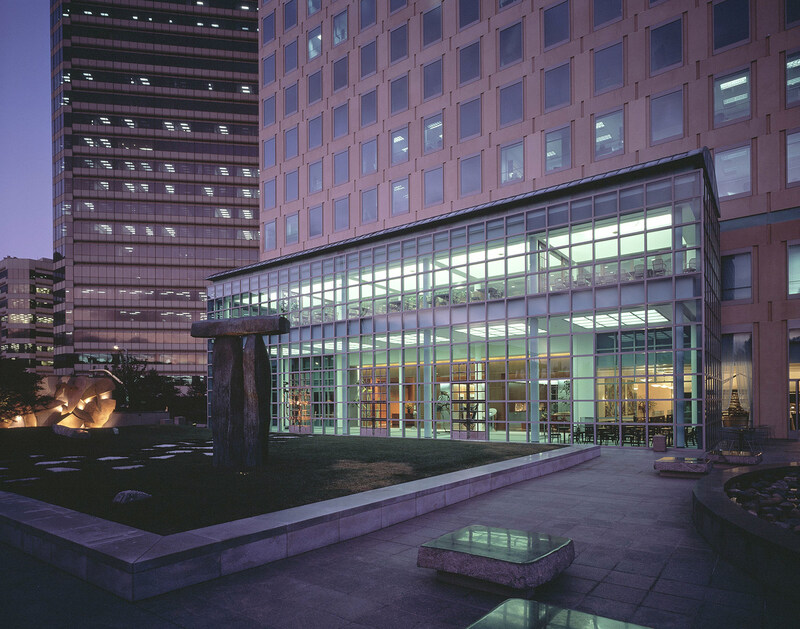 The tower for this headquarters building in downtown Oakland is shifted to one side of the site to create a generous public plaza fronting the street. The granite paving for the plaza descends to street level through a series of symmetrical monumental stairs, ramps and large-scale landscaped planters. 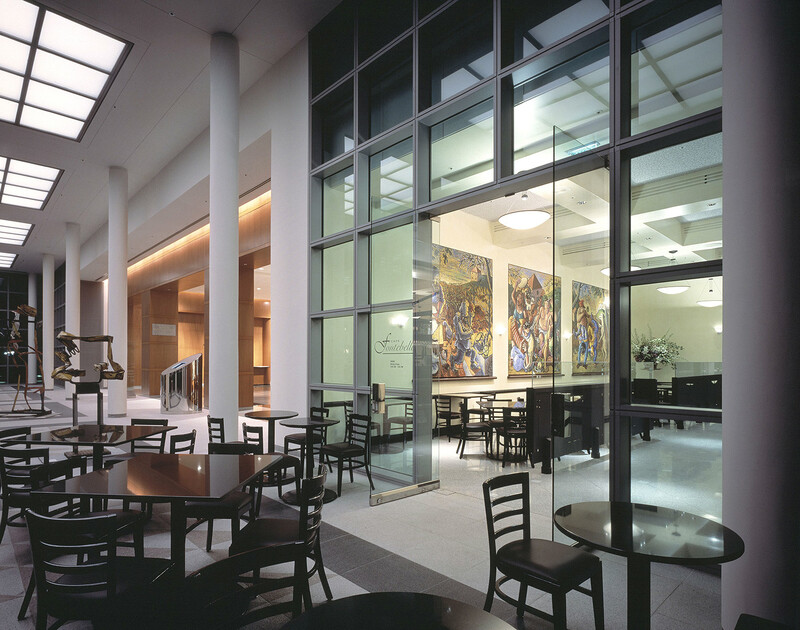 Generously proportioned punched windows set within a grid of limestone-hued architectural precast columns and spandrels comprise the façade on three sides. 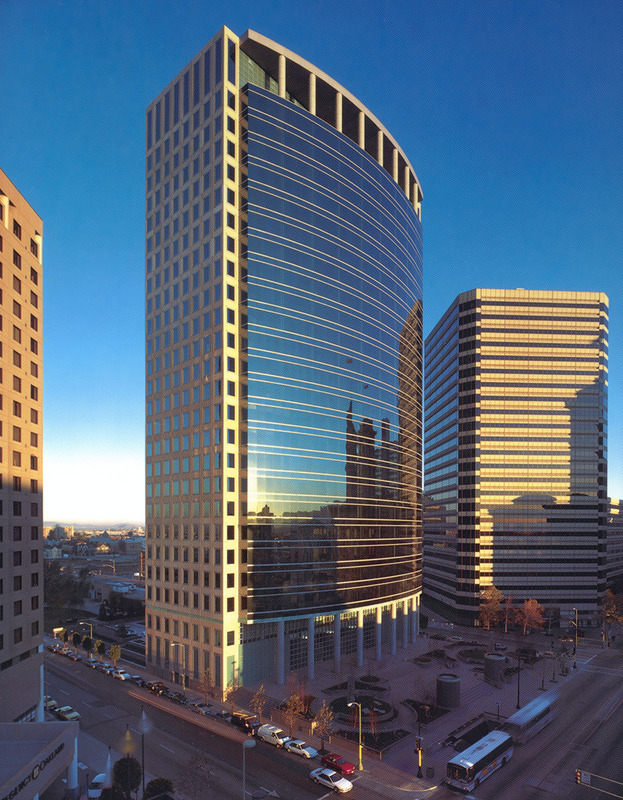 A gentle convex curve of glass, 22 stories high, above a three-story tall entry arcade gives the building a strong presence on the plaza. 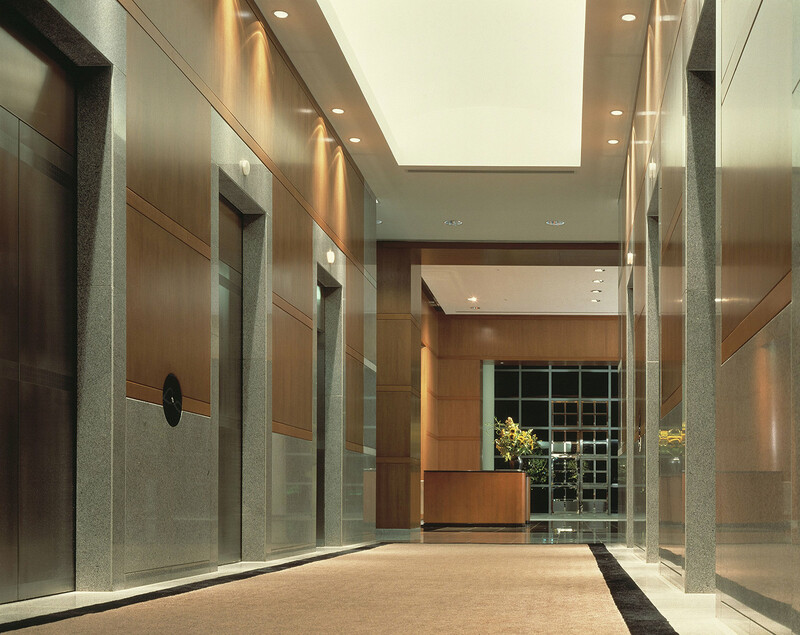 The building lobby conveys a sense of modern elegance through the artful use of warm wood tones and a palette of gray, white and black granites.